Russell is a third generation trucker. His Uncle, Cy Weller, was the founder of Frozen Food Express Industries, Inc. (FFE). Russ started with the business in February 1986 as a management trainee after graduating from college. He worked his way up through the company in a variety of positions, from operations and dispatch, to the software team, to the acquisitions team. In 1999, he became president of three smaller fleets that FFE had acquired in the late 1980s. In 2006, he became chief operating officer of FFE Industries, moving on to president in 2008. When his father retired in 2010, Russell became the president and CEO. In 2013, FFE was purchased and taken private by the owners of KLLM Transport Services, LLC, and FFE’s over-the-road truckload division was merged into KLLM. Russell became chairman of FFE Holdings in September of 2014 and represented the company at industry and legislative functions. 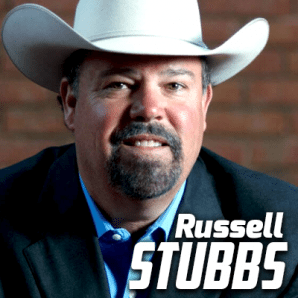 Stubbs is a former member of the American Trucking Associations’ (ATA) board of directors, executive committee, and membership committee, as well as TCA Chairman in 2016-2017. 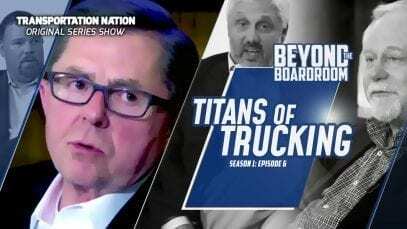 In his home state, he is a past chairman and Foundation chairman of the Texas Trucking Association (TXTA), as well as a former member of that organization’s executive committee. He is also the recipient of TXTA’s Foundation Kay Crimm Award for 2005 and the Leader of the Year Award for 2007. Locally, Stubbs is involved with his alma mater, Texas A & M University, where he has served as a mentor for the College of Agriculture and participates in a foundation that provides scholarships to prospective and current students. He also volunteers with the Fort Worth Stock Show and Rodeo by serving on the livestock and equine committees. He enjoys raising cattle, hunting, and golf. He and his wife, Dawn, have been married almost 30 years and have a son, Corby and daughter-in-law, Susana. Their second son, Reese, passed away at only 20 years of age and has been immortalized in the trucking industry through TCA’s Stoney Reese Stubbs Memorial Scholarship.